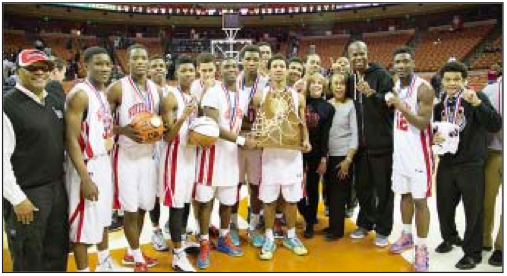 UIL CLASS 5A BASKETBALL: North Shore Mustangs are STATE CHAMPIONS! 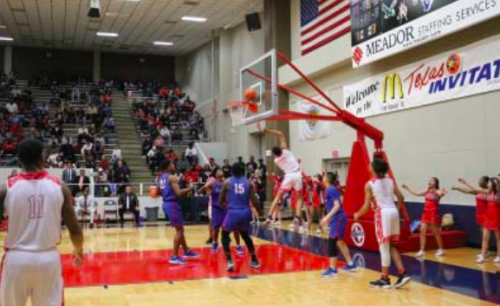 AUSTIN – Coach David Green’s North Shore Mustangs easily defeated the Converse Judson team 57-45 in the final playoff game to take the State Title in Class 5A basketball. This is the first time North Shore has won the title, but they competed in 1991 and 1997. The Mustangs won their two tournament games with defensive pressure and controlling the tempo of the game. Although they were outsized by the taller Judson team, they forced 18 turnovers and managed almost as many rebounds. 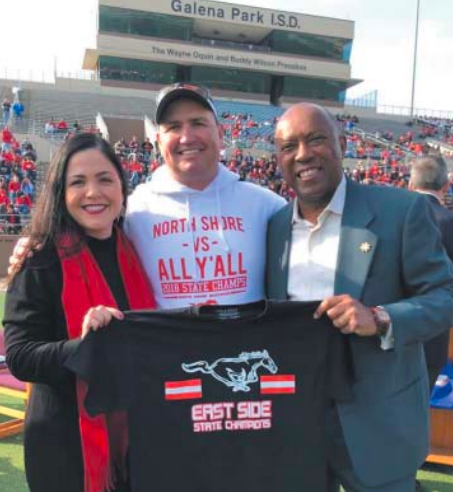 North Shore’s season record is now 35-3. Outstanding play was spread among the team, with Jarrey Foster with 16 points, Kerwin Roach 15 points, and the coach’s son Brandon Green with 11 points. Scoring for the Judson Rockets was led by 6’-9” David Wacker with 13 points, the son of their coach. North Shore led through the whole game, and at halftime the score was 26-20. They opened up the lead in the second half, usually 10 or 12 points ahead of the Judson Rockets. Coach Green was not only celebrating his first state championship, but also reaching the 500th win in his career this week. Green had taken three other high schools to the state finals in previous positions: Kountze (1997), Beaumont Central (1999) and High tower (2011). But this was the first time he won the state championship. North Shore’s previous two games had been close, defeating Bush 60-58, and DeSoto 48-45, so this margin of victory was so-oooo sweet.